It's no secret that Dwell has a special affinity for Heath Ceramics. 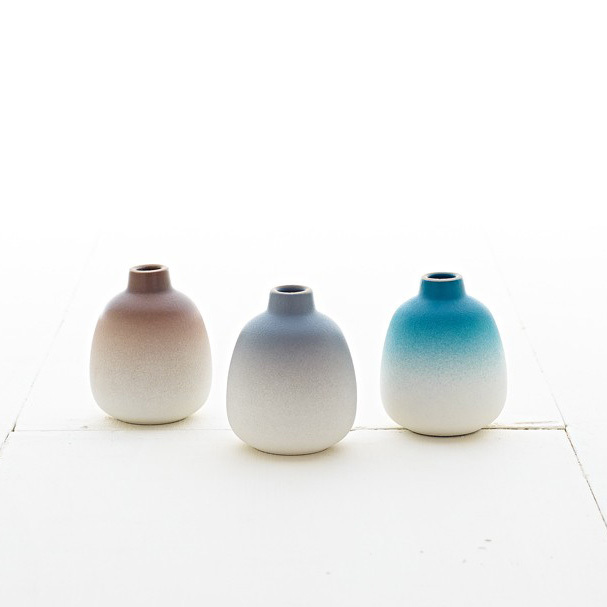 We've long loved the renowned midcentury pottery manufacturer and have covered their creations many times in the past, such as when they introduced the 'cool lava' glaze and their seasonal summer offerings. Now, Heath has released a new seasonal Winter collection that we positively love. In their own words "A crisp, frosty winter day. Warm hues meet a powdery snow." Here, the iconic bud vase design gets a coat of a clay-like glaze that highlights the raw material while creating a lightness and texture reminiscent of the snow. "Warm earth tones, cool greys, and pops of rich turquoise make a well-rounded collection, evoking a cozy and frosty wintry day." The classic Multi-stem Vase Set gets the same wintery treatment as the bud vase with warm earth tones, cool greys, and pops of rich turquoise in an ombre for a snowy effect. With its Blue Pine interior and Stone White exterior, this Vegetable Bowl is bright and festive—the perfect pop of color for any tablescape. Frosty winter days call for staying warm from the inside out. Now in Winter Seasonal colors, the Rim Stack Mugs are the perfect vessels for your favorite cold weather beverages (or soups!). Warm wintry grey is a nod to the season in this Appetizer Set, which includes a mini condiment plate, and Edward Wohl cutting board and pate knife. Three different serving plates in an array of winter blue, grey, and white make for easy holiday entertaining. This Cocktail Set is the answer to easy and elegant holiday entertaining. Each piece is a beautiful object on its own; together, they make for a sophisticated display. Included is a Jose Reguiero square walnut tray, 4 Holmegaard water glasses, 4 glass Dharma straws and a cleaning brush, 4 Native Organics gauze napkins, 4 Sara Barner brown leather coasters, an Iacoli & McAllister hex bottle opener, Morris Kitchen Spiced Apple Syrup, and Morris Kitchen Ginger Syrup. Winter holidays are the time to be adorned with jewelry for the season. Jeweler Julie Cristello created these beautiful duo tone ceramic beads using Heath's very own clay and glazes. The single statement bead measures 2.75", fitted to a brass choker that is 16.5" long.